The Triple Falls hike from Oneonta Gorge is scenic, great for beginners, and doesn’t have the big crowds that many other Columbia Gorge hikes have. The hike winds up above Oneonta Gorge, and you can look down on the raging creek as you hike on the trail above it. The Triple Falls hike can get crowded, but it’s no where near as crowded Multnomah Falls or Eagle Creek. And you get to see three waterfalls along the way! Triple Falls, at the end of the hike, is great place for a picnic or snack. 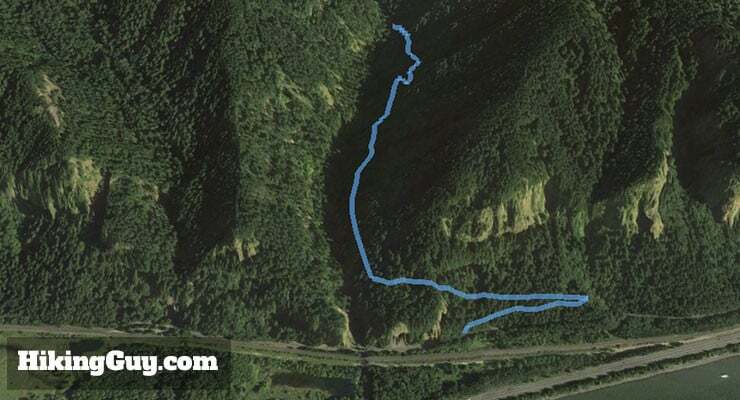 Use this trailhead address: Oneonta Trailhead, Hood River County, OR, 97031, USA. Parking is free. 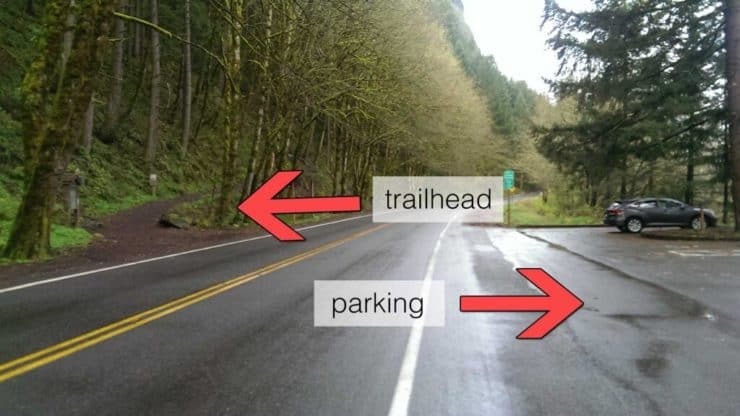 If the trailhead lot is full, there’s additional parking east of the trailhead by the Oneonta Tunnel, a short walk away. This isn’t a long hike but it can get muddy and slippery. I do recommend basic hiking gear and hiking boots. Trekking poles will help with any slippery or muddy sections. 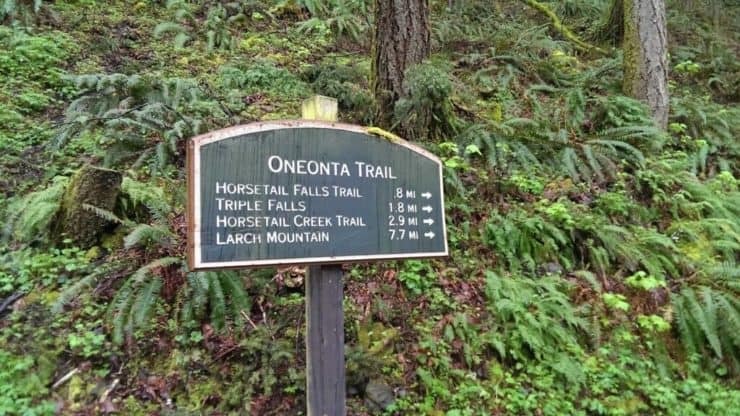 After a broad switchback, the Oneonta Trail follows Oneonta creek up towards Triple Falls. The hike to Triple Falls is a climb, but it’s not too tough. Just take your time. 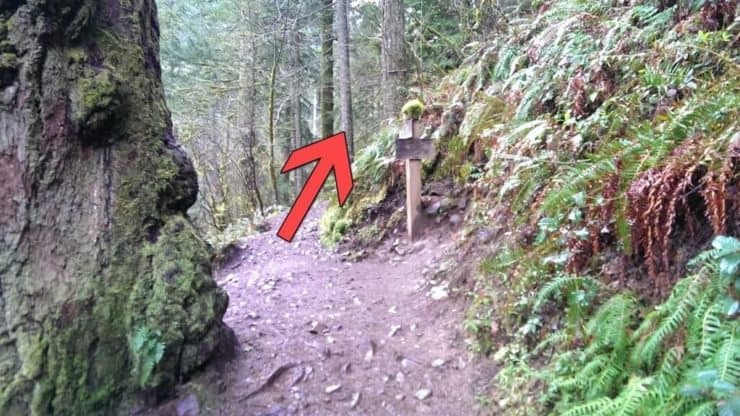 The Oneonta Gorge trailhead is across the street from the parking lot. 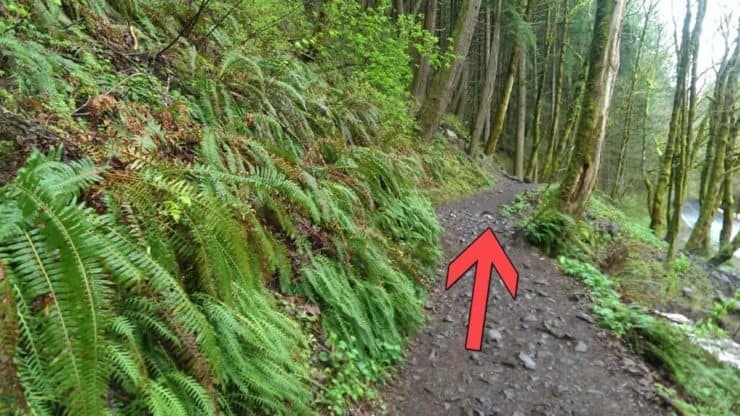 The Oneonta Gorge hike is well marked, as are most of the trails in the Columbia River Gorge area. The trail is well defined. Keep hiking up the hill. After 0.2 miles, hike to the left at the switchback. 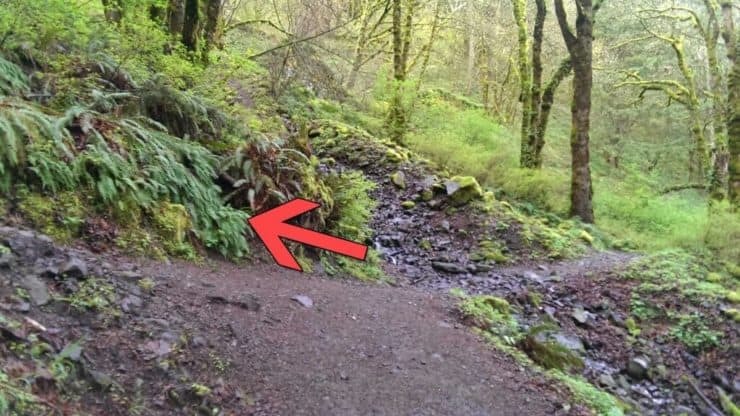 At about 0.7 miles you’ll come to a trail sign. Hike to the right on the Oneonta Trail #424. At 1.3 miles, the trail splits. 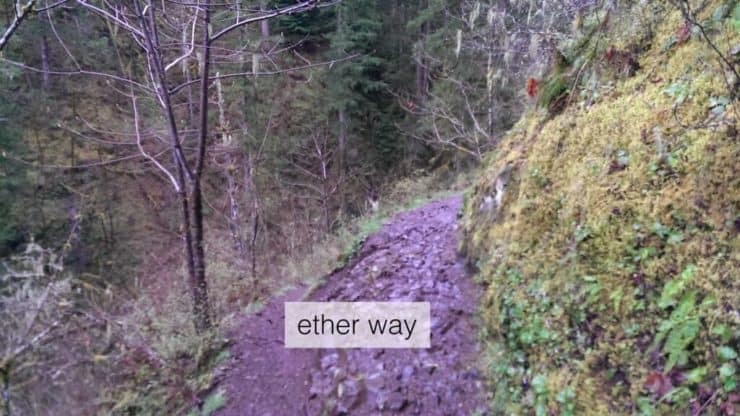 Hike either way. The lower route will give you more options for viewing Triple Falls. They both join up shortly though. The lower route has some rocks to sit on for a picnic. Soon after that split, keep hiking and you’ll arrive at a bridge. This is Triple Falls. To end the hike, turn around and retrace your steps back to the parking lot.